Blackjack is one of the most commonly found games on the casino floor, featured across land-based casinos worldwide and the newer generation of iGaming platforms, online casino sites. The game has a sort of inherent appeal derived from the fact that it offers one of the best chances to beat the house and gain the much-needed player edge. This allows the player pool to enjoy the gameplay as usual, while also factoring in the added credit of using your skills to win each hand. ...from the other casino games offered at these modern online platforms is precisely that – it allows players to influence the game’s outcome with something more than their twist of luck and chance. Despite having the outcome depend solely on the combination of the Random Number Generator, still enjoy massive popularity. Each gameplay features its own set of specific characteristics, with blackjack’s allowing people to experience a different gambling opportunity than most other titles, as illustrated below. In order to make use of all the benefits that accompany a simple game of blackjack, players are normally advised to be completely aware of the rules of gameplay. In this regard, there is the presence of a common misconception that the point of playing blackjack is simply to get as close to 21 as possible, without going over it. The rules of blackjack dictate that players need to beat the dealer by getting a hand which has a higher value than theirs, and at the same time making sure the players’ hand doesn’t go bust, i.e. over 21. This changes player perspectives significantly, as it shifts their focus from their own hand to the dealer’s. ...there is more than one way players can get the added benefit, as you will learn soon enough. 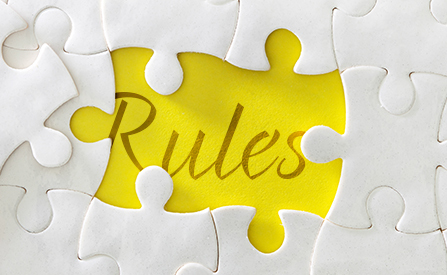 For now, it is best to stick to the specific rules and guidelines to practice proper blackjack next time you’re at the tables. Blackjack is played with 1-8 regular decks of 52 cards, where each card bears a specific value. Thus, the ace can be both 1 and 11, number cards 2 to 9 bear their face value, and cards 10 and above have a value of 10. Players need to get as close to 21 with the sum of card values in their hand, without going over it, but at the same time getting a higher hand than the dealer’s. Thus, at the start of the gameplay, players are invited to place their initial bets so that the dealer can deal the cards. Players get two face-down cards, while the dealer gets one face-down card, known as ‘hole’ card, and one face-up. The face-up card gives players the much-needed edge during regular casino gameplay, as they know one portion of the value of the dealer’s hand. This further helps players employ the most popular blackjack strategy – counting cards, as it gives insight to the cards that were dealt straight from the start. Before moving on to the bet types players can make during gameplay, it is important that they are aware of a certain situation. Illustratively, should the dealer’s face-up card be an ace, it would mean that there is a possibility for the dealer to have a blackjack (his hole card having the value of 10). Unless the player has a blackjack, not just a 21 hand, they will lose to the dealer, which is where we get to the different bet types. If you suspect that the dealer has a blackjack, you can make a side, insurance bet that pays 2 to 1. That way, even if you go bust, you lose the original bet, but you will still have half of its amount thanks to the insurance bet. This is never the most advisable strategy, but players are advised to consider it nonetheless for occasional use. Surrender: the surrender move means that the player doesn’t play their hand – instead, they surrender it and get to keep half their initial stake amount. Still, despite the fact that blackjack is introduced as the game that gives players the best chances of hitting a win, there is still a lot of losing going on during its gameplay. This is either due to the misconception mentioned above, the lack of proper knowledge of the strict rules of gameplay, or simply because players cannot maintain a healthy gaming and betting system. Card counting is considered to be the most typical mastery to win a spot at the Blackjack Hall of Fame. This practice of card counting implies that players are able to keep track of the types of cards that have passed the dealer’s hands and are no longer part of the deck, so that they can determine what type of cards are left in play. Should players have more low-value cards, they can split cards, or ask to get an additional one, as there is less risk of getting a 10-point card, and vice versa. As ideal as it sounds, card counting can be hard work, especially for someone who isn’t as good with numbers as they are with cards. And even if players do master the know-how of this strategy, there is no guarantee that chance won’t spin the odds the other way and cause the dealer to draw an unexpectedly high or low card. On the other hand - online casino platforms have started introducing all kinds of player benefits to illustrate their orientation to player satisfaction. While these include anything from Welcome offers, deposit match bonuses, referral promos and the likes, there is nothing quite as beneficial as getting free credit. No Deposit bonuses are awarded to players during signup, mostly with the purpose of rewarding them for their choice of platform and allowing them to explore the game selection on offer without risking their own bankroll. Blackjack is not often included in the list of titles players can enjoy when making use of their bonus offer. Still, it is worth noting that they need to be aware of the specific games eligible to contribute to the bonus wagering requirements, as well as their contribution as such. What are the most popular blackjack title variants today? Most blackjack titles enjoy great popularity among the player pool, but Progressive Blackjack, Switch Blackjack, Pontoon, 21 Duel Blackjack and Blackjack Surrender are definitely among the top of the ranks. Can I claim No Deposit Blackjack bonuses during mobile play? Yes, players can enjoy mobile blackjack gameplay using their no deposit bonus credits as long as their chosen casino platform offers a mobile site version or an inherent downloadable client. What is the commonly found contribution of blackjack games to WR? 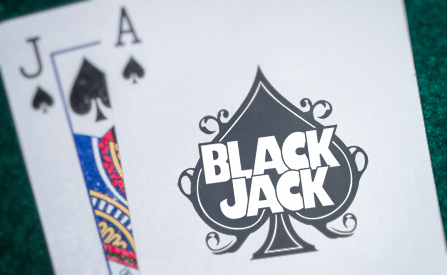 Blackjack titles contribute various percentages to the No Deposit Bonus wagering requirements, with most of them ranging between 10% and 50% of all stakes. What are other blackjack winning strategies besides card counting and No Deposit Bonuses? Aside from these, blackjack players can always employ staking strategies which offer a specific pattern of determining your bet size – proportionate, fixed betting, Martingale, etc. or simply try to tackle the matter with proper bankroll management. Which casino software providers include blackjack in their game product offering? Most casino software companies include blackjack titles in their game offering, with leading providers such as NetEnt, Microgaming, Playtech and the likes focusing on many specific variants that can’t be found on standard platforms.